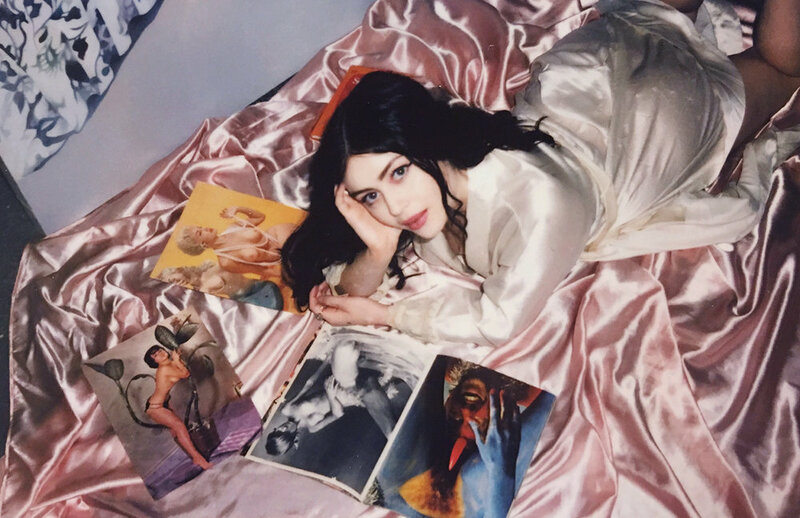 Explore artist Ariana Papademetropoulos' hyperreal oil paintings at MAMA Gallery in L.A.
March 12 will see the opening of Wonderland Avenue, Ariana Papademetropoulos’ debut exhibition at MAMA Gallery in Downtown L.A. In this body of paintings the Los Angeles native explores the physical and psychological, offering a “voyeuristic glimpse of another dimension," through pictorial surfaces that reference reality yet ultimately remain an illusion. The piece Papademetropoulos is most excited about is an installation that conceptually extends from her paintings. A beaded oval hole in wall is the only way to access a fantastical yellow room with a cage with a live cockatoo at the center of it. The perfection of the space is interrupted by imperfect clues into something that has taken place before one’s arrival: clutter on the floor, and a broken flower vase. Wonderland Avenue opens on March 12 and runs through April 23 at MAMA Gallery in Los Angeles.